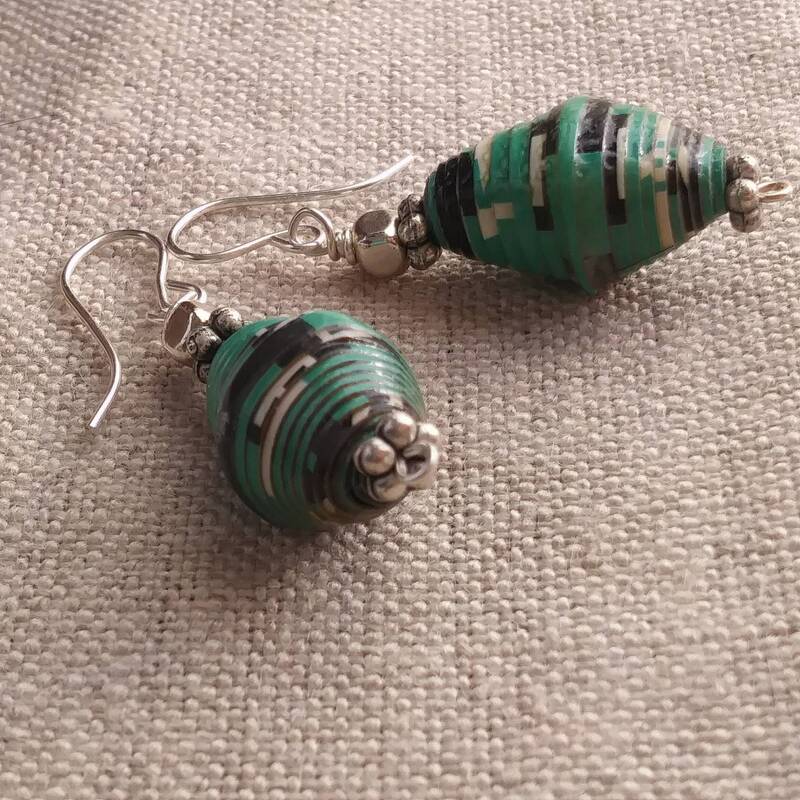 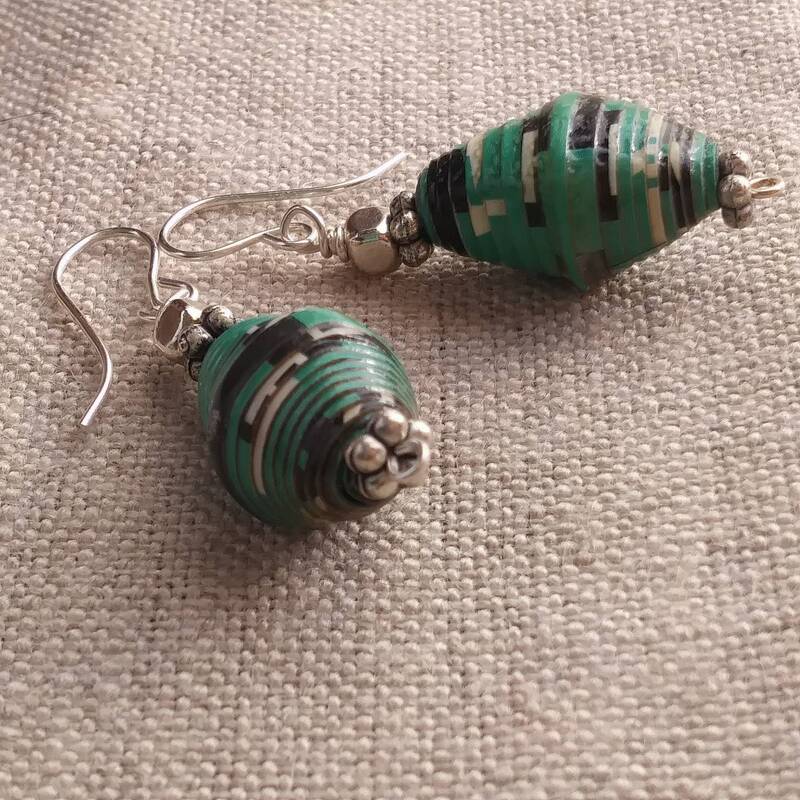 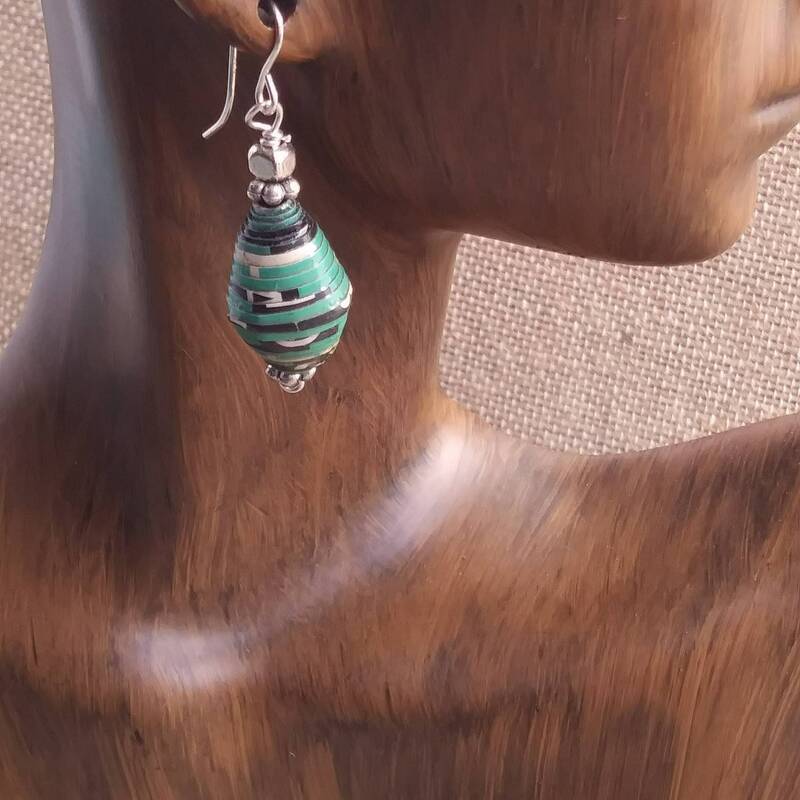 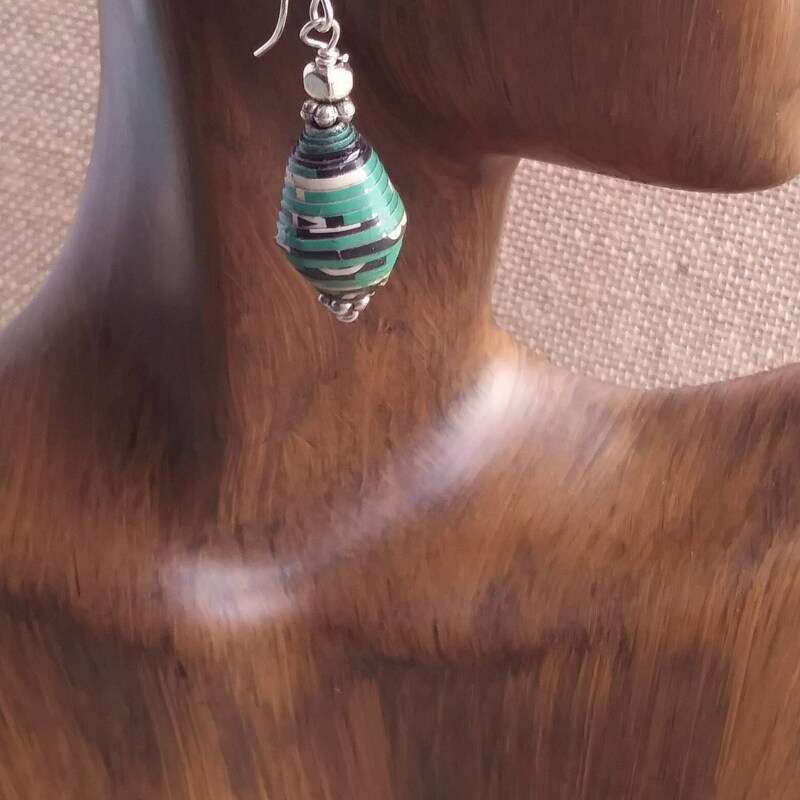 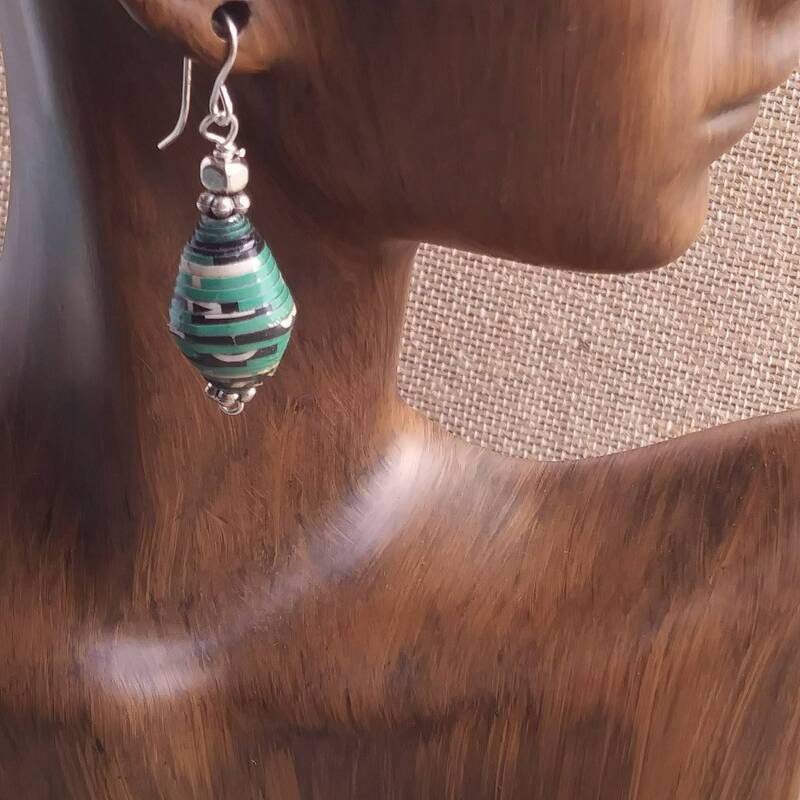 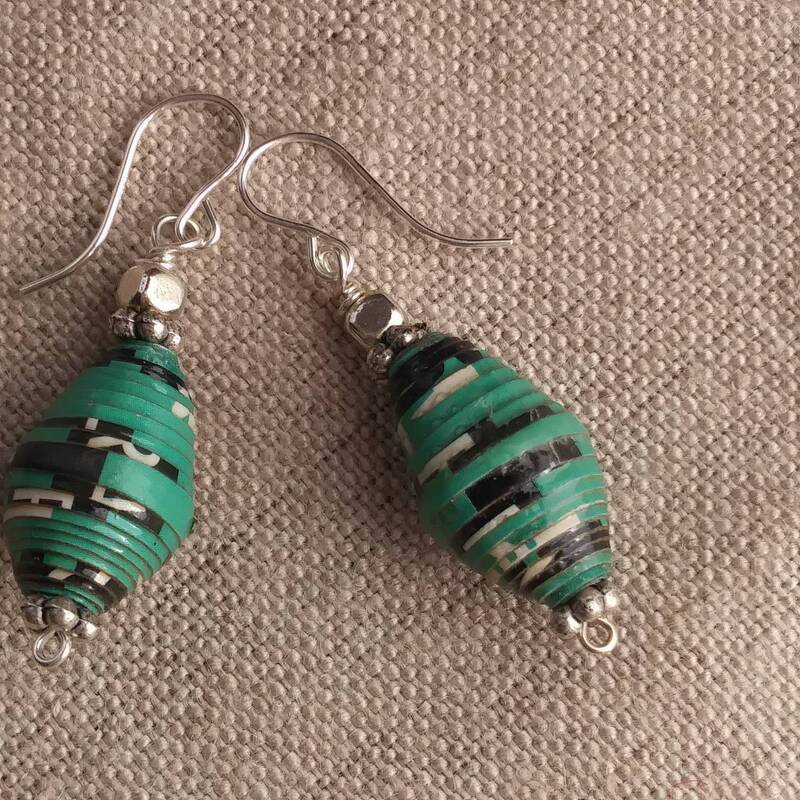 Lovely recycled paperbead earrings with sterling silver french hooks. 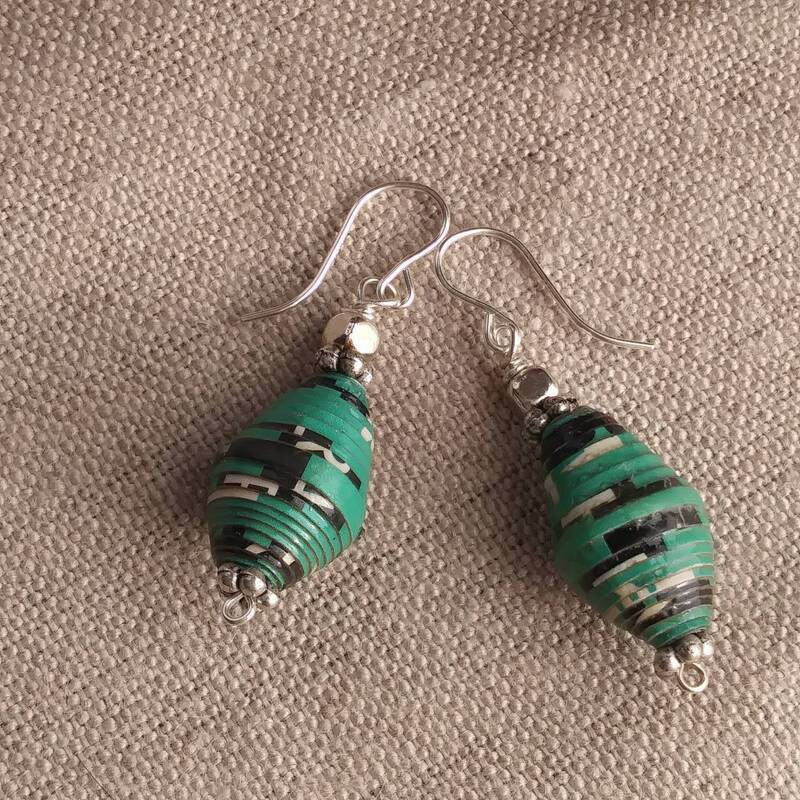 White handmade Haitian paper beads paired with silver beads. 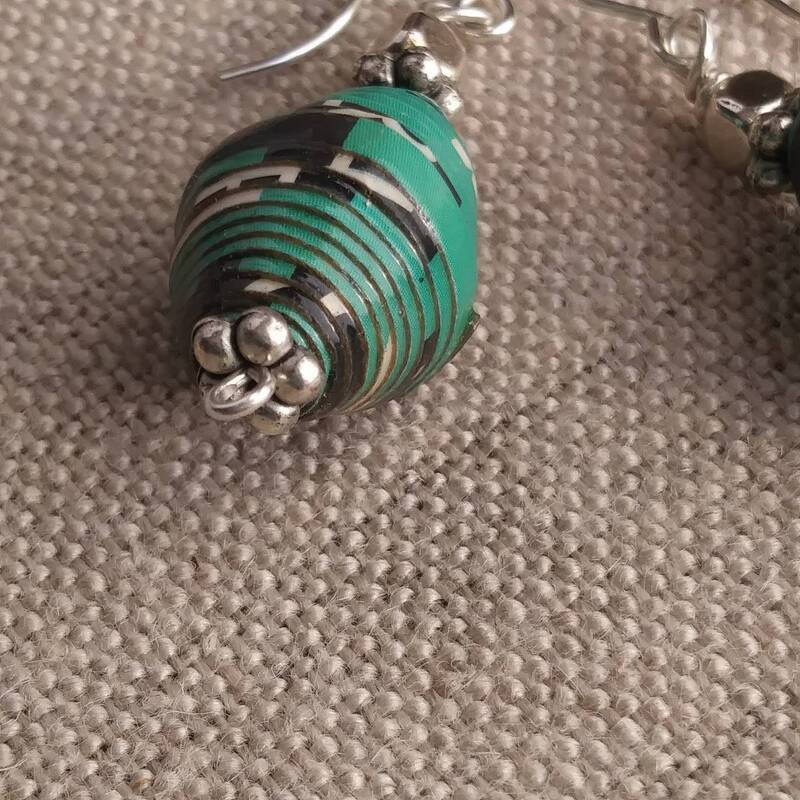 Earrings hang down 1.75 inches.